With Thanksgiving just around the corner, we here at Fiddlesticks have been chatting all things turkey, family and pumpkin pie. But we haven't just been chasing dinner plates and seconds- rather the deals that come after! From newborn to 12 years old, we have all of your fashion finds for this holiday season. Please join us in kicking off the Christmas season with our SPECTACULAR Tea Collection Black Friday Event. 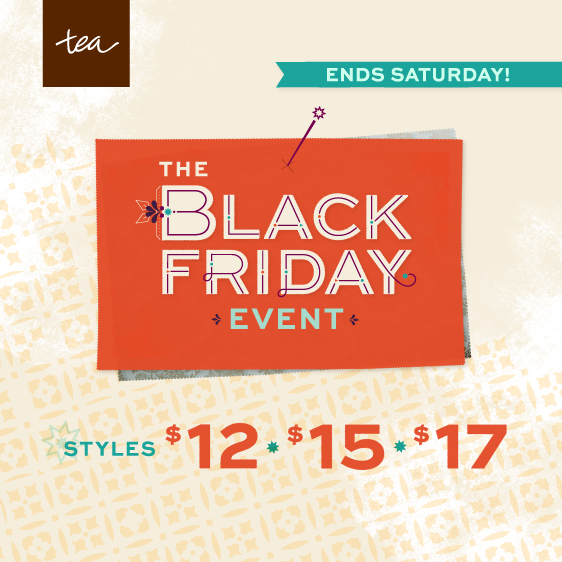 Bring the family and come on in to Fiddlesticks this Friday for the Tea Black Friday Event. We'd love to hear all about your Thanksgiving adventures!